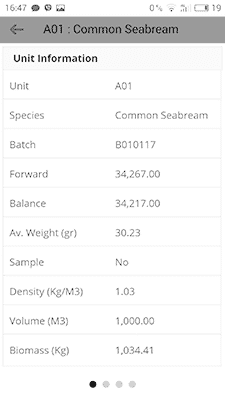 A cost effective software solution for aquaculture production control that will pay for itself! 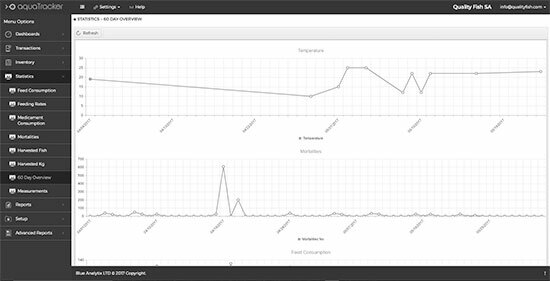 Take control of your business with a state-of-the-art, easy to use system that continually measures and tracks your fish production in real time. Be proactive, identify poor performance before it becomes a problem. 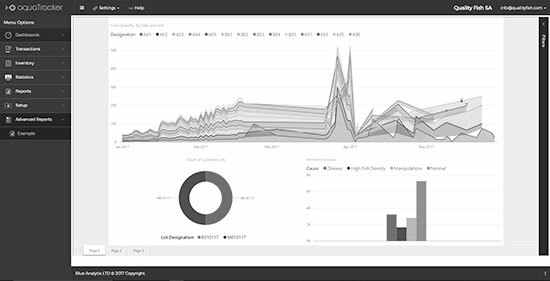 Improve production management, efficiency and visibility. 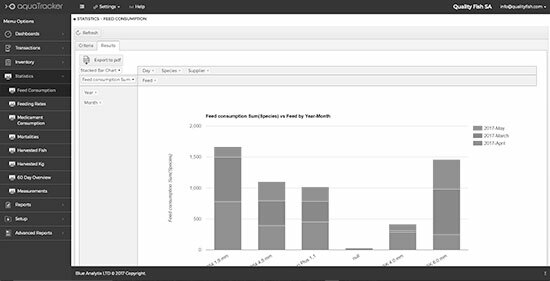 Use mobile phones and tablets to collect accurate data from the field, eliminate paperwork and reduce administration and management effort. 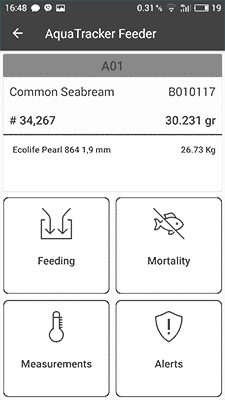 Capture feedings, mortalities, water quality parameters and other useful information directly from the field, using attractive, user-friendly and easy to use applications. 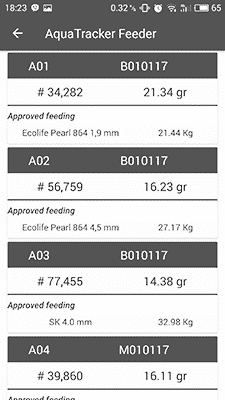 Improve data quality and increase the productivity and efficiency of your aquaculture fish farm. 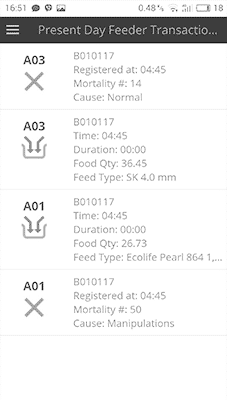 Use aquaTracker to measure and track your production in real time, understand what is happening, why it’s happening, as it happens. Know if the fish are eating or not, if there are high mortalities, what is the behavior of the fish, the water temperature and oxygen and the feed in stock. Be immediately notified if anything goes wrong. Your fish farm is in your pocket! 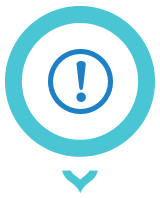 Our software enables you to access real-time, updated, information from any place you go, using any device such as a desktop, laptop, tablet or mobile phone. Get valuable insights anytime, anywhere, make faster, more informed decisions, remain in touch with your aquaculture’s reality regardless of your location. 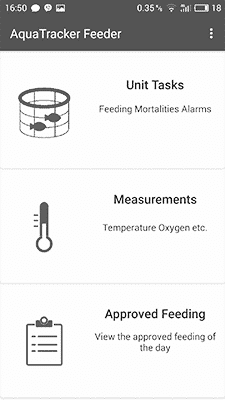 You can access all these functionalities using just a web browser or your mobile phone! 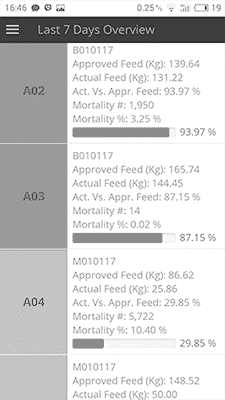 Know which types of feed or feed batches have been used for each batch of fish, track the use of medicaments, respond quickly and accurately to customer requests, comply with standards. Follow your fish from input to harvest. 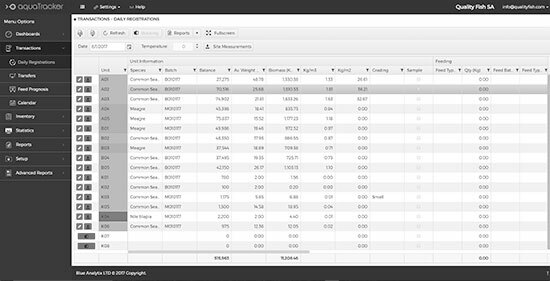 Subscribing to aquaTracker is the most flexible and cost-effective way to manage your production. There are no upfront costs for the software, you pay as you go, only for the amount of time that aquaTracker is suitable for you. Our paid plans are full-featured and affordable, starting from just €40 per month. The return on investment is immediate! 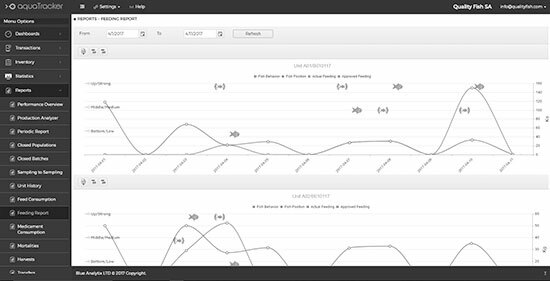 Get powerful reports and stunning visualizations of your corporate data that will help you identify problems or trends, reasons for poor performance and areas for improvement. 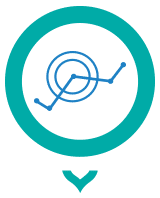 aquaTracker opens up completely new ways of communicating production and performance data and allows everybody in the company to speak the same language! 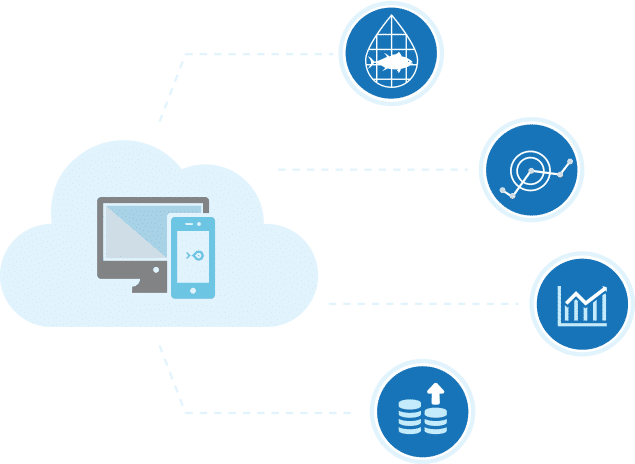 Being a Software as a Service(SaaS) solution, it doesn’t require you to maintain a dedicated server at your farm or any other infrastructure. You only need a browser and an internet connection. Get up and running immediately and enjoy the benefits of aquaTracker in just a few days after you start. 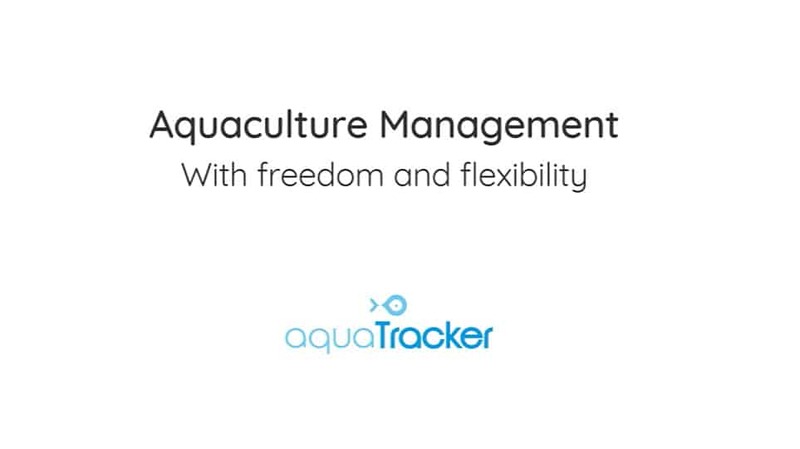 AquaTracker is the latest software solution developed by the aquaManager team, encapsulating more than 20 years of experience in information technology for aquaculture. 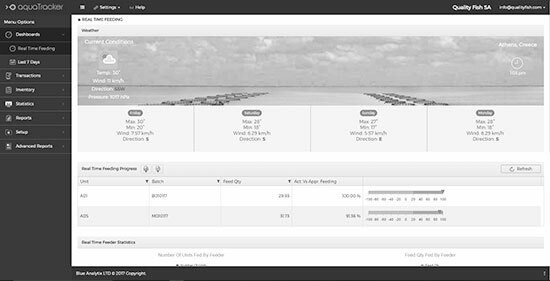 All the valuable insight gained from working with leading aquaculture companies around the world, was integrated into a fresh, innovative and low cost cloud based fish farm management software.